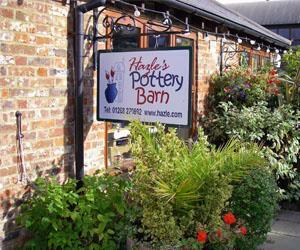 Pottery painting, for all ages, potter's wheel; day time & weekend classes or just drop in. Mini mosaics, glass. Painting home of the award winning 'a nation of shopkeepers' collectable ceramic wall plaques. Call for more information. British Giftware Association - Gift Award fir Best Collectable. Closed on Mondays during term time. At slip road exit on roundabout (southbound) first exit before A127 slip-road to Southend. At slip road exit on roundabout (northbound) 3rd exit before A127 slip road to Southend.